Comparing a Virtual reality headset shouldn't have to be difficult. It should be easy, seamless and most importantly informative. Well, luckily for you we give you all that and more! To get started with our VR headset compare function all you need to do is select your initial choice of headset and then select another which tickles your fancy. If you need any help choosing the right headset for you or if you’d like to know what you should be looking out for when it comes to pitching two magnificent pieces of machinery against each other then either check out our guide to VR and what our Virtual reality specs really mean. Ok, so you’re probably going to want a bit of advice on comparing vr headsets when there are way too many to choose from out there. From the device refresh rate to it’s gyroscope tracking thingy-ma-bob, the endless options and specifications almost seem to get lost in translation. Start simple with the headset you’ve heard the most about. Then stick with a similar looking one or the one you just know you need to compare it against. Because our trained rocket scientists have made the process so easy for you, we’ve done all the hard work in getting you the right things you need to compare against straight away. When the time comes for you to compare a VR headset, we’ve split it into the easiest categories there are: general specifications, best buy prices and their minimum requirements. Remember our VR Bound top comparison tip. Some headsets prices may vary considerable depending on it’s features, release date and model. There are always a lot of “development” kits floating around which are much cheaper but are not technically ready for everyday consumer release. Virtual reality (VR) has all the colors and textures of real life, except it’s more fun and much less dangerous. Once you try on a VR headset and see an imaginary world look so real before your eyes, you will definitely want your very own VR headset. Who wouldn’t want to be able to come home from work and experience virtual reality from the comfort of home? With any kind of electronics, especially those that help you experience virtual reality, comparison shopping is a wise choice. Here are some things to keep in mind when you compare VR headsets. Quick Recap: What are Virtual Reality Headsets? Once you see virtual reality, comparisons between VR and real life will make real life seem boring. To use a bit of retro imagery, a virtual reality headset is like a Walkman for your eyes. If you are too young to have ever owned a Walkman, ask your parents what it was like to put your headphones on, listen to your favorite tape, and escape into a totally different world. A VR headset looks like a pair of goggles, and you wear it while playing a video game so that the game’s images appear right in front of your eyes, as if you’re inside of it. One of the first virtual reality comparisons you should make when you compare VR headsets in order to decide which one you want to buy is whether you want a tethered VR headset or a mobile VR headset also called VR viewers. 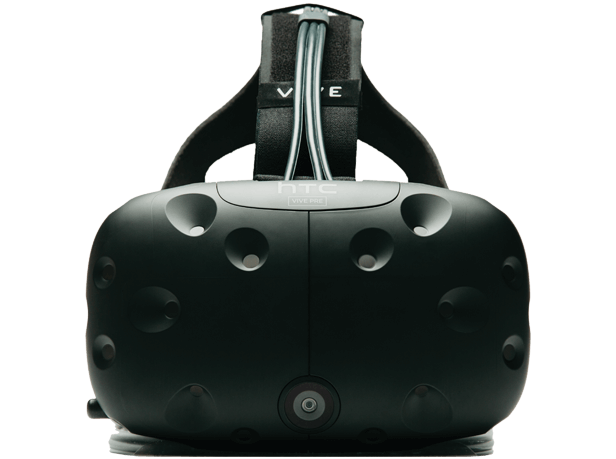 Compared to tethered headsets, mobile VR headsets are less expensive, but they are also less advanced. The main difference between a tethered headset and a mobile headset is that a tethered headset is attached to a wire, which plugs into the game console or the computer, whereas a mobile headset uses your mobile phone. You can easily imagine the advantage of having a mobile VR headset, since you caqn use it juust about anywhere. But do watch out as you wont get nearly as many features. When choosing your VR headset, compare prices, but also compare the features that are the most important to you. Whether the headset you want to buy is mobile or tethered and, perhaps even more importantly, whether it is compatible with the system you have and which games have a VR component available. Any recent model of VR headset, compared with VR headsets of the past, are lot more sophisticated and user friendly meaning they have many features to compare between. When VR headsets first made their debut in the 1990s, it was not a very pleasant experience to play with them, because the visuals were of low quality and moved just a little bit too slowly, meaning that they caused motion sickness for most wearers. Today, the technology is much better, so when you compare VR headsets currently on the market, an ideal feature to compare is the refresh rate of the screen and the resolution as this will most likely influence your experience. Motion sickness is still a factor to keep in mind when you compare VR headsets. If you easily get motion sick, such that you cannot read in a moving car or ride roller coasters, then it will take you longer to find a VR headset that does not bother your inner ear. It would be great if the only factor in choosing a VR headset were a simple virtual reality comparison, but there are serious financial decisions to be made. After you compare VR headsets and decide on the features that you want, you’ll need to compare prices. Before you make a decision, see what the going rate is. Unless a headset has just made its debut on the market, you probably will not need to pay retail price, as headsets at discounted prices become available soon after each new model of VR headset is released. At the same time, beware of prices that seem too good to be true, especially when ordering online; you may find that the headset is defective when you receive it. You should also read reviews written by other customers who bought headsets from the same seller, if these reviews are available. Our site contains lots of detailed listing of VR headsets to fit every price range and budget, so you can find the headset you want at an agreeable price.